A town in northeast Nigeria where Boko Haram is believed to have kidnapped scores of schoolgirls was vulnerable to attack because of a lack of security, residents said on Friday. 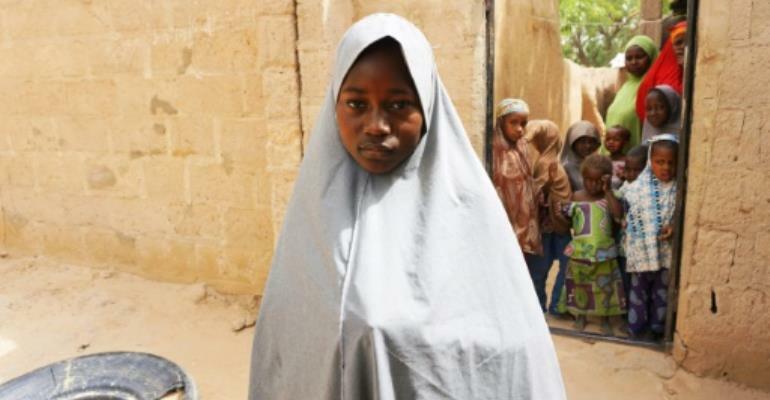 Terrified pupils fled the school in Dapchi, Yobe state, on Monday night when heavily armed fighters stormed the town in a convoy of pickup trucks. Nigeria's government has been unable to confirm the number of missing girls, which has revived memories of the mass abduction of more than 200 girls in Chibok in April 2014. "One month back, they carry (take away) all soldiers, they transferred them to another side, they leave us without security," he told AFP. When the suspected Boko Haram fighters arrived "there was no soldier in the town", he added. "We had policemen but they ran to the bush." Mohammed Adam, whose two younger sisters are missing, said before Monday's attack "there was almost no security inside Dapchi because there have been no other incidents. "No soldiers were in the town for over one month," he added. "The town is now in a very crazy condition because most of the parents are still going back to the school and crying for their loved ones." The attack has again raised questions about Nigeria's ability to secure hard-to-reach rural areas in the remote region and its repeated claims that Boko Haram is on the verge of defeat. Nigeria's defence spokesman John Agim denied that troops were withdrawn from the town. "The location where the soldiers are stationed is between 30 to 40 kilometres (19-25 miles) from the school," he said. "When they heard about it, by the time they moved in, this thing had already happened." But Agim said troops cannot protect every school in the northeast. "It is not possible that we can man schools. The other security apparatus can do that," he said. Boko Haram's relentless assault on Nigeria's northeast since 2009 has spared few, targeting not only schools but mosques and markets. The jihadists have increasingly turned to kidnapping for ransom as a way to finance their operations and win back key commanders in prisoner swaps with the Nigerian government.